If you want a volunteer opportunity that fully appreciates your special skills and experience, Senior Corps is the solution. 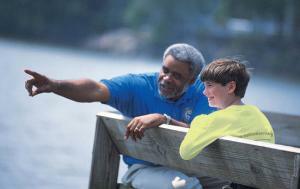 Senior Corps matches a volunteer program to your interests and abilities. The Senior Corps initiative is part of the Corporation for National and Community Service, a federal agency designed to encourage Americans to put their expertise to good use serving communities and the country. Tess Scannell, director of Senior Corps, talked with LoveToKnow Seniors about the many opportunities available for volunteers over the age of 55. The seniors of today, having come of age during the Kennedy administration, are familiar with the many serviced-based programs started during that time. With that model to follow, do you think this particular generation is more inclined to volunteer service? We actually know that it's true - we have some data to prove it. However, the volunteer motivation is different than that of individuals from the WWII era. That generation said, "What do you need me to do?" out of a sense of obligation and to give back. Baby Boomers do it because they have a passion for something. They also think, "Hey, I'm experienced and have a lot to give, and I'd like my experience to count for something." Baby Boomers are going to be selective about where they put their skills, so the responsibility falls onto nonprofits to recruit volunteers to help with strategic planning, fundraising, aspects of management, and use resources to support higher functioning volunteers. Organizations need to let Boomers take the lead on certain projects, and hire a clerical staff to handle other tasks, like envelope stuffing. Senior Corps reports that 94 percent of its volunteers state that their service improves their knowledge, health or social connectedness. Can you please provide more details about this fact? We have a tremendous amount of anecdotal data about how our volunteers make new friends, how they experience health benefits, and feel like they are capable of doing more than they ever thought possible. One story that immediately comes to mind is of a women who walked with a cane couldn't keep up with the schoolchildren she mentored, so she stopped using it. In time, she discovered she didn't even need the support of the cane to walk - she was more active, chasing the children around! But the health benefits are scientifically proven: lower blood pressure, less depression, greater mobility. One interesting study is the The Health Benefits of Volunteering. Many studies also indicate that people who actively volunteer have lower mortality rates. Physicians ask for our materials all the time, because they have patients who come to them, simply for exposure to the outside world and to talk with someone else. Many physicians encourage patients to volunteer for peace of mind and to lessen depression, which actually improves other health issues. When volunteers are helping someone else, the benefits to the volunteer are actually greater than the benefits to those receiving care. Senior Corps offers three core programs of the organization: RSVP, the Foster Grandparent Program, and the Senior Companion program. Please provide an overview of each. RSVP: Persons aged 55 and older interested in serving four or more hours a week can become RSVPs. They do everything: work with children, the elderly, the environment, disaster response, and other community endeavors. One theme for our agency is "from nice to necessary," meaning that we place volunteers in situations within their community that may be ongoing projects or emergency situations. There is no means test to be an RSVP and no stipend. Senior Corps is a federal agency and grant-making agency. We are affiliated with 1,300 agencies, 500,000 volunteers in over 70,000 community organizations throughout the country. So through the RSVP program, there is truly a volunteer opportunity for any skill set or interest. Foster Grandparent Program: This is primarily for lower-income individuals age 60 and over, volunteering for 15 or so hours a week. These volunteers serve children with special or exceptional needs. They serve in Head Start centers, childcare centers, and are paired up with children with special or exceptional needs within the school, although they are not teacher's aids. They also serve teen parents and in juvenile facilities. Foster Grandparents receive $2.65 an hour, plus transportation to the site. Senior Companions: These age 60+ volunteers are an integral part of a team of caregivers that allow a senior to remain independent in his or her home. This is companion care, but not caregiving. The distinction between our volunteers and caregivers is that home health care providers need to be licensed, and our volunteers are not. Our volunteers provide companionship, help with shopping or doctor visits, and maybe a little light housecleaning or meal service for 15 or more hours per week. These volunteers also receive a small stipend to offset the costs of volunteering. All volunteers are trained in the service program they choose, and specialized programs have additional benefits. How does Senior Corps make it easy for people to get involved in a volunteer opportunity? We have a presence in the communities and are very active with the social service structure. In the last year, we joined forces with the Volunteer Match online matching program. This increases the likelihood that volunteers will find a service program that fits their passions and abilities. It might surprise people to know of the expanse of our reach and infrastructure. As I mentioned before, we have 1,300 grantees and have placed volunteers in 70,000 community agencies across the country. We're not unaffiliated volunteers, either: we're organized. 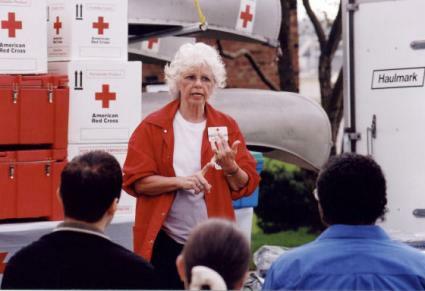 So, for example, in any kind of crisis and disaster response, one call to RSVP puts hundreds of volunteers into action. So people just need to think about what it is they want to do and get involved! You can write your ticket - there is certain to be an organization that can use your skills and abilities. Call the National Service and Seniors hotline at 800-424-8867.
Review more research on the many benefits of volunteerism at the Corporation for National and Community Service.